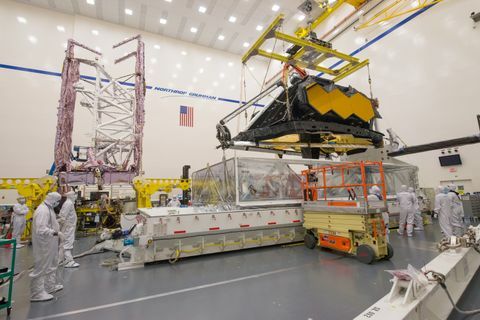 REDONDO BEACH, Calif. â June 8, 2015 â NASA Administrator Charles Bolden visited Northrop Grumman Corporation's (NYSE:NOC) Redondo Beach facility May 28 to see the progress on the agency's James Webb Space Telescope. 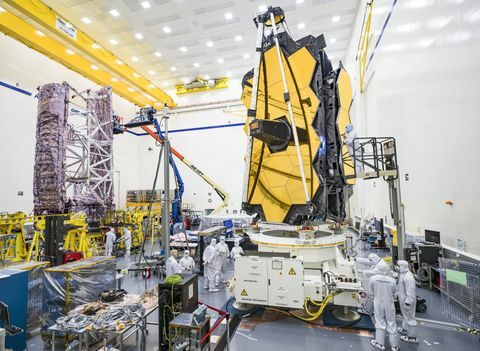 Northrop Grumman is under contract to NASA's Goddard Space Flight Center in Greenbelt, Maryland, and leads the industry team that designs and develops the Webb Telescope's optics, sunshield and spacecraft. "When it launches in 2018, the James Webb Space Telescope will allow us to peer deeper into the universe than ever before. NASA's exploration spans the universe, and the people of Northrop Grumman are great partners in our work to extend humanity's reach into space while strengthening America's leadership here on Earth," Bolden said. Bolden addressed Redondo Beach Space Park Facility employees working on the Webb Telescope, personally thanking them for their effort and taking questions on a variety of topics. "We are proud to be a partner, leading the industry team responsible for building NASA's next great observatory," said Tom Vice, corporate vice president and president, Northrop Grumman Aerospace Systems. "We share a deep appreciation for science, which is incredibly important to our future and under NASA's leadership the James Webb Space Telescope will inspire future generations of scientists and engineers. Administrator Bolden's presence today reinforces the necessity of space exploration and leading the way to the frontiers of space." 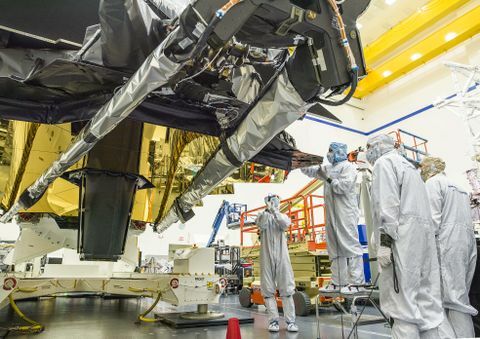 Hosted by Vice and Scott Willoughby, vice president and James Webb Space Telescope program manager, Northrop Grumman, Bolden saw the spacecraft's backplane, its sunshield, the spacecraft bus and the cryocooler for the telescope's Mid-Infrared Instrument. The backplane holds the spacecraft's hexagonal mirrors that will give this unique telescope an aperture of 6.5 meters. The backplane will be shipped in August to Goddard Spaceflight Center for the integration of the 18 mirrors. The sunshield, which is nearly the size of a tennis court, is responsible for shielding the telescope from sunlight. The tour also included viewings of the spacecraft bus, which will take the telescope to its ultimate destination 1 million miles from Earth and the cryocooler for the telescope's Mid Infrared Instrument (MIRI). The cryocooler will chill MIRI to a temperature just barely above absolute zero.